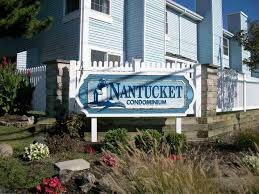 Are you looking for Nantucket condos for sale in Ocean City NJ? Located next to the Ocean City Municipal Airport on the bay meadows in Ocean City NJ. The Nantucket was built in 1985 consisting of 91 units. They are all two bedrooms with two bathrooms. Pets are allowed and there is two car assigned parking. Amentities include clubhouse, patio, and pool. A must see!